Eternal bloodlust and family scandal are not the only things we love about televisions original vampire family- their impeccably styled wardrobes draw us in every episode. Elijah, Klaus, and Rebekah of The Originals may have been born in the 10th century, but they are anything but traditional when it comes to what they wear. Fashion inspired by pop-culture is common in today’s age, but not every look is worth recreating. 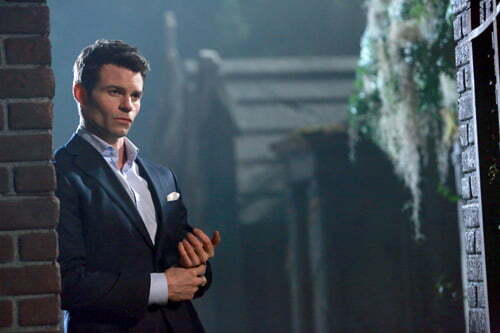 Luckily for us, the modern vampire fashion featured in The Originals is both inspiring and easy to emulate. 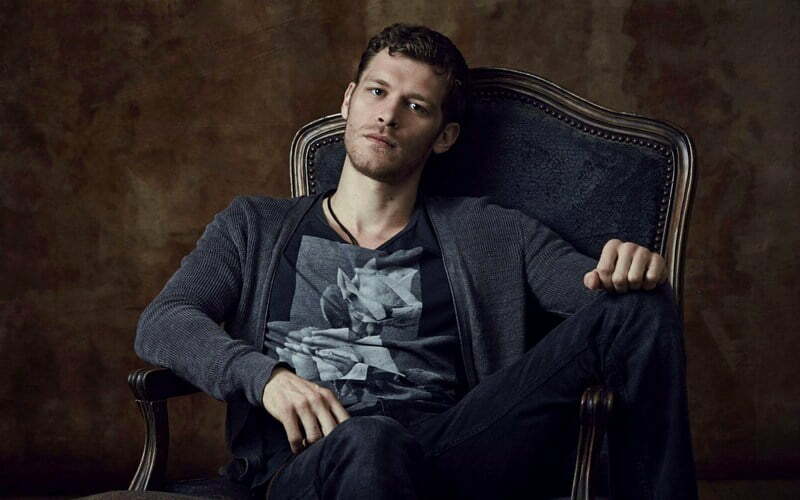 Our more ruthless leading man and original hybrid, Klaus is known for more casual styles. In most episodes we will see him in a modern slimfit sweater or basic t-shirt, paired with jeans. Henley’s are a favorite of his, but he elevates this classic fit with unique details like leather elbow patches and colorblocking. Final touches like a thin leather bracelet or necklace keep this look laid-back but well thought out. Though all the siblings have different personalities, one style staple for the broad is a well-made blazer or jacket. Klaus favors leather in all categories, as some variety of a worn leather jacket is seen in almost every episode. Layer this with a basic thermal and viola!- you’ve channeled your inner Klaus. No matter how drastically the fashion trends have changed throughout the centuries, Rebekah always maintains an elegant look. A hopeless romantic, it is no surprise that she incorporates feminine details into her wardrobe. But she is an Original, so her more fierce side is always comes through as well. Leather and lace is a perfect pairing when it comes to mastering this Mikaelson’s style. She may wear a pleated jacket, but in a more edgy material like leather, layered with a chic silk tank. Darker colors like black, grey, and burgundy dominate her closet, but beaded details add more grace. Flowing formal dresses pierced with studs are a perfect mix of both her softer and tougher sides. Keeping up appearances and maintaining an air of formality is key to understanding Elijah’s style. No t-shirts and jeans here. This dapper Mikaelson has been able to transition traditional gothic vampire fashion into more modern times. You will usually find this brother in a suit jacket, dress pants, and tie. Being the modern vampire that he is, Elijah has an appreciation for clean lines and a more tailored fit. A Victorian influenced jacket with a collared shirt will easily give you this look. On this vamp’s rare casual day, a long-sleeve V-neck with a more relaxed relaxed trouser still keeps him looking polished. Who do you think has the best wardrobe on The Originals? How would you style your modern vampire outfit? Leave your ideas in the comments below!